Nebraska football fans are anxiously awaiting the beginning of fall practice, when they will start to see which freshmen may shine. While the established stars are known, fall practice is the first real opportunity for the freshmen on the roster to claim a spot on the field. So who will those freshmen be that shine? Who will be the new stars for Nebraska? Here are five candidates. Once again, Nebraska has a plethora of young I-backs. Behind senior Ameer Abdullah is junior Imani Cross and sophomore Terrell Newby, before getting to redshirt freshman Adam Taylor. While Taylor came in a little ahead of Newby in terms of recruiting rankings, Newby was able to see the field right away given his unique set of skills. Taylor redshirted, and as a result is looking up at three talented I-backs on the depth chart. If Taylor wants to earn any kind of significant playing time, a strong fall practice will be crucial. At the start of last season, it would have been pretty easy to pencil in Knevel as a starting tackle. His size alone (six-foot-nine, 305 pounds) makes him an imposing presence on the offensive line. But then Colorado transfer Alex Lewis shone in spring practice, looking to have won the starting left tackle position. A strong fall practice will help Knevel move his way back up the depth chart, or at least earn himself significant playing time in a rotation. It could be argued that Brown might be the most important signing of this year’s class, at least for 2014. Given the departure of Pat Smith, last year’s placekicker, and the failure to impress by Mauro Bondi and the other kickers currently on the roster, it is likely that Brown will come in and have a shot to win the starting job from day one. 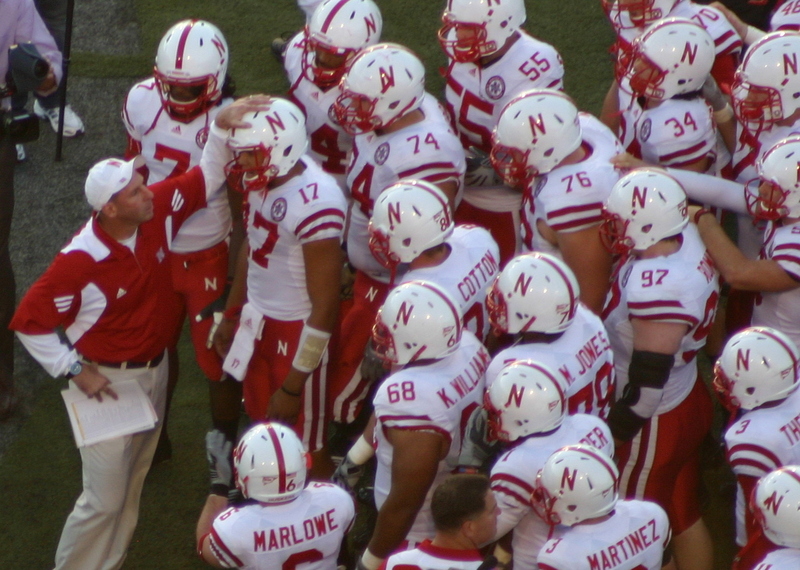 For Nebraska’s sake, Brown needs to have a strong fall practice—and a good 2014 campaign. There’s little question that Randy Gregory will be occupying one of the two starting defensive end positions. But the other position looks up for grabs. Junior college transfer Joe Keels should have the inside track on the position, simply given his experience. But a strong performance from redshirt freshman A.J. Natter could push Keels for playing time, or at least give Bo Pelini and the coaching staff some options to rotate the defensive line. And with three years of eligibility after 2014, a strong showing from Natter this year would provide a good base for years to come. Nebraska is deep and young at linebacker. Other than Zaire Anderson, there looks to be only one upper-classman (junior David Santos) that will be in the starting rotation. So there will be work for Newby to do if he wants to see the field as a linebacker. But Newby has a bit of a secret weapon in his locker. During the Spring Game, Newby was used as a hybrid defensive end or outside linebacker in a three-man front look. Functionally, though, Newby’s role was as a pure outside pass rusher, and he excelled. While Newby might be a ways down the depth chart as a linebacker, if he can excel as a pass rusher in fall practice he can earn playing time—and provide a real weapon for the Blackshirts in 2014.